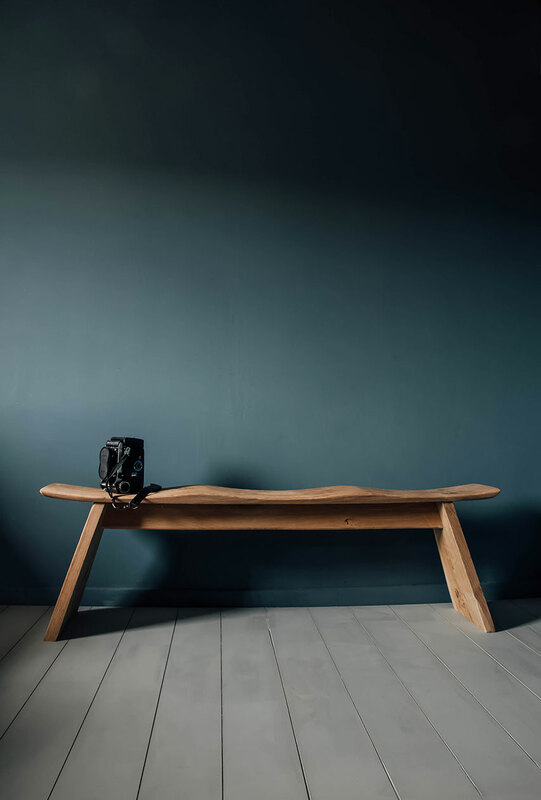 Inspired by simple medieval Japanese stools the scooped seats make this bench more comfortable and reveal a depth to the wood which is hard to discern with flat surfaces. The bench is simple, light yet robust. The angle of the legs give the bench more lateral stability and reference the beautiful angles found in Japanese and chinese characters.